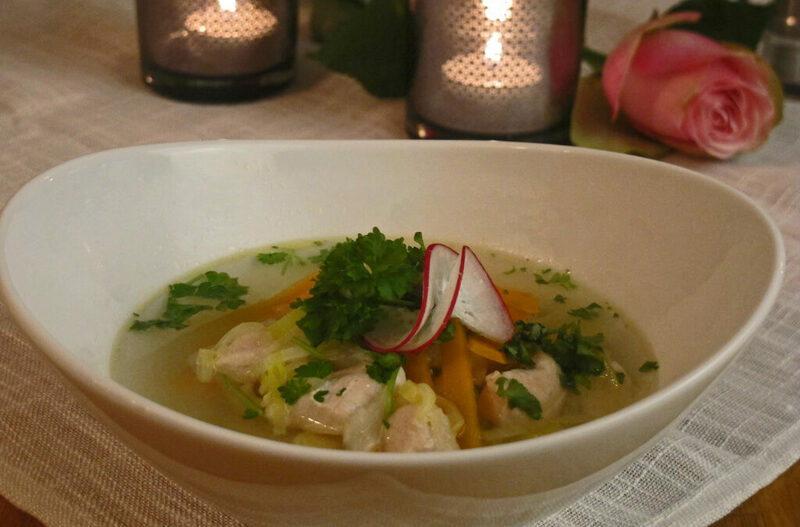 This recipe gives you a lovely clear chicken soup. It has loads of flavour, and contains many healthy antioxidants. A soup with low calories, fat and carbs.